Napa Valley has been blessed with three back-to-back good to potentially historic vintages at a time when many of the world’s top red wine producing regions have struggled with much more difficult growing conditions. This year I spent over a month in Napa Valley visiting vineyards and wineries, along with doing my most extensive tastings ever of new and future releases. The spring tastings focused mostly on the 2013s, while three full weeks in the fall provided a great opportunity to see a wide range of 2012s from bottle, 2013s from barrel and even a few 2014s. These are a few brief observations. Reviews will be published in late November 2014. After the challenging 2009, 2010 and 2011 harvests, 2012 was greeted with considerable fanfare. Growers and producers rejoiced in a classic Napa Valley harvest marked by good quality, abundant production and no weather shocks. The temperate, even conditions in the late fall were punctuated by a few heat spikes, but overall, this was a year in which the fruit could be left to hang. Coming off two cold and lower-yielding vintages, growers naturally had the temptation to leave a little extra fruit on the vine. I remember walking through To-Kalon in late September. In one block I saw tiny bonsai-like, manicured clusters, while the adjacent block was a virtual tapestry of fruit. That is the moment I knew 2012 could turn out to be a highly variable vintage. It was crystal clear. High yields presented a number of logistical challenges. Tank space was at a premium. Producers were also faced with significant amounts of fruit that ripened within a very narrow window, which stressed the capacity of vineyard workers. That is especially true of outsourced vineyard crews. Who do you think got picked out first? The large estates that are highly profitable clients, or the little guy with just a few blocks? Back in the cellar, tank capacity was stretched to the limit. That meant that some fruit was left to hang in the vineyard because wineries had maxed out their ability to process fruit. But the fruit left hanging needed to come in at some point, so producers had to move their wines out of tank and into barrel quickly. That is especially true at custom crush facilities where winemakers agree in advance to the time they will have access to shared tanks. Many winemakers opted to bleed their wines (saignée) in order to restore the skin to juice ratio to more normal parameters. This is always a tricky process, but Cabernet Sauvignon is much more adaptable to bleeding than say Pinot Noir. 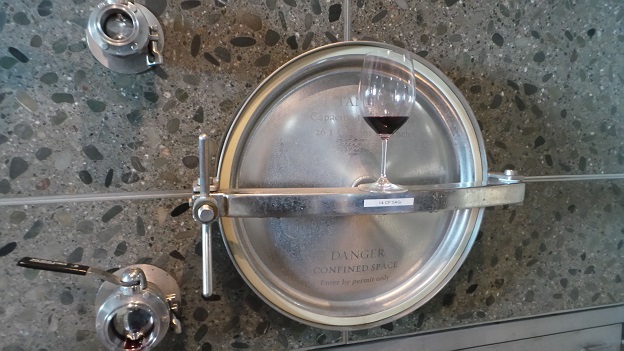 Winemakers encountered stuck fermentations, a factor usually attributed to a lack of yeast cells and/or high sugars that can’t be easily converted into alcohol. I tasted a few wines with volatile acidities that are on the upper end of what most tasters would consider acceptable. Volatile acidity is present in all wines and may even be desirable to some degree, especially in Old World reds, but it is not typically a feature of Napa Valley wines. Over the last year, but especially over the last six months, I have observed that some 2012s are developing at a faster pace than I had originally expected. I tasted a few 2012s that had been opened for 8-12 hours and was surprised to see early signs of oxidation. While not an exact proxy for ageability, this is not a good sign. Given the mid-weight structure of most wines and the ripe profile of the fruit, my sense is that a number of 2012s would have benefitted from earlier bottling, but that is virtually impossible, since most Napa Valley wines are bottled on mobile lines that are booked many months in advance, robbing producers of the flexibility to make adjustments. I believe that high-end wineries, especially once above a truly artisan level of production, must own their own bottling lines. I am always amazed when I meet a proprietor who has invested a small fortune to acquire land and/or purchase the best fruit, hire a world-class winemaker, buy the best new French oak barrels and make other significant investments completely pass on controlling the final and, in many ways, most critical part of the production process. Bottling is the last time something can go wrong before a wine is finished. There are very valid counter arguments for using mobile bottling trucks. Small producers have no option. More importantly, mobile lines are expensive state of the art equipment operated on a daily basis by highly specialized and trained technicians. Buying a bottling line is a significant capital expense, and a piece of equipment a winery might only use a few days in an entire year. Bottling lines also require a certain level of ongoing maintenance to run smoothly. The pros and cons of using mobile bottling lines are very real and both have merit. What is simple fact, however, is that producers who work with mobile bottling units have to schedule their bottling dates six months or more in advance, with little flexibility to make changes. Wines evolve over time. Some need to be bottled earlier, others later, but producers in California are handcuffed by the system. The end result is that wines, even at the very highest level of quality and price, aren’t always bottled at the ideal time. And that, in my opinion, is absurd. So, back to the 2012s. The wines are mostly soft, supple and silky, with a flavor profile that leans heavily towards the red fruit end of the spectrum. With a few exceptions, these are not opulent, full-throttle Cabernets like the 2002s or 2007s, but distinctly more mid-weight wines. Most of the 2012s will drink well right out of the gate, and I expect to see quite a few wines that will mature quickly. Overall quality, while good, and perhaps even excellent at the top addresses, certainly does not live up to the original hype that surrounded the vintage. Observers like to describe the tricky 2011 as a “winemaker’s vintage.” That is at least as true of 2012 as well. The best 2012s are dazzling, but once you move beyond the top estates quality becomes much less consistent. The 2013s, on the other hand, are racy, viscerally thrilling wines of the highest level. Interestingly, despite a second year of drought conditions, yields were normal to high, but the flavor and structure profile vis-à-vis 2012 is very different. The 2013s boast deep, inky, Petite Sirah-like color and intense blue/purple/black fruit along with exotic citrus and spice overtones. Quite surprisingly, yields were pretty much in line with 2012 for most properties. But the composition of the bunches was completely different. In 2012, we saw bunches with fewer but larger berries, one of the factors that, along with high yields, explains why some wines show signs of dilution. In 2013 clusters tended to have more berries, but smaller berries. Naoko Dalla Valle has bottled a pure Cabernet Sauvignon from her Maya blocks only once before, in 1999. The Maya Cabernet Sauvignon is back in 2013. The higher skin to juice ratio in fermentation along with produced a set of tannic, powerful Cabernets built for cellaring. 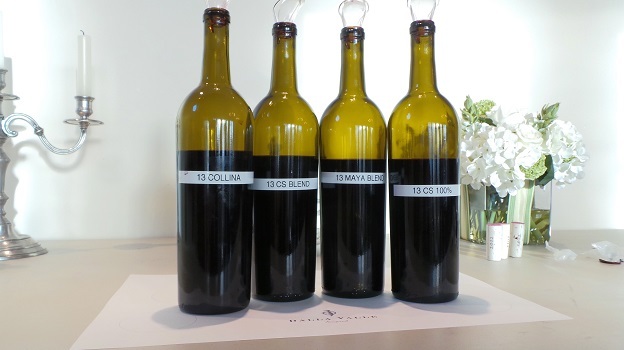 At most properties acidities are pretty much in line with 2012, but the wines feel much brighter, partly because of the tannic backbone that is the signature of the vintage. The best 2013s are profound, utterly towering wines that are going to require considerable patience. Stylistically, 2013 reminds me very much of 2010, but with more ripeness and greater mid-palate richness. Winemakers speak of the wines extracting very easily. In some cases oenologists pulled back on extractions for fear up ending up with what they viewed might be wines with too much tannin. An example of that is the three properties that comprise the Plumpjack Group; Plumpjack, Cade and Odette, where the 2013s are especially silky and soft for the year. A good bellwether for the overall quality of the 2013s can be seen with the entry-level or second wines. For example, the 2013 Napanook from Dominus is huge, powerful and a very serious wine for its level and price point. Although still in barrel, the 2013 Napanook could turn out to be a better and more complex wine than many top 2012s. At the higher end I can only think of a few cases where an estate’s 2012 is as good as or better than the 2013. That, in a nutshell, is 2013. It is conceivable that 2013 might one day be regarded as one of the all-time great vintages for Napa Valley. The wines truly are that special. 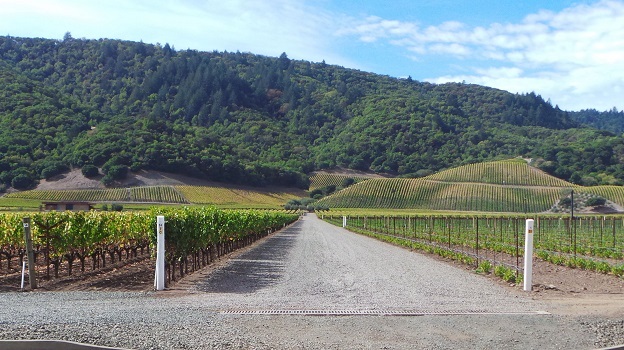 Vintage 2014 represents the third year in the current drought cycle. The season got off to a fast start with a warm dry winter, precocious bud break and a generous set, all of which led to a very early harvest. A few brief spells of rain in September and October may have pushed picking dates back by a couple of days, but no more than that. As of this writing, there are wines that are still in tank, so it is very early to have any real opinion on the year. Winemakers speak about wines that needed some coaxing during extraction, as opposed to the 2013s, where everything was much easier. Based on what I have tasted so far, the 2014s have the darker tonalities of fruit found in the 2013s, but with mid-weight structure, softer tannins and silkier texture that recall the 2012s. There were no real shock events in 2014 that might have compromised quality, so my early sense is that we are looking at an average to above average year. Today, my impression is that 2014 will be better than 2012 but not quite hit the highs of 2013. We will see. 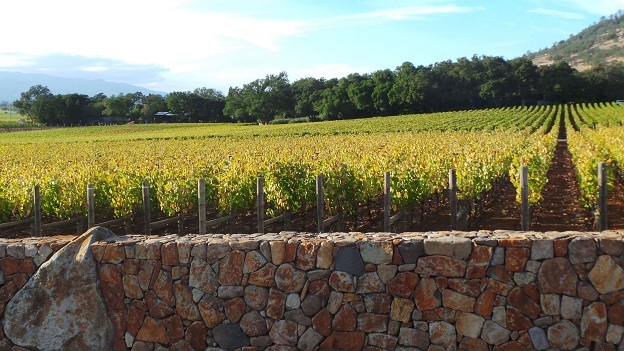 One of the things I enjoy most about spending time in Napa Valley is the proliferation of new projects and wines. This year I tasted a number of terrific wines in their first or second release. I look forward to sharing notes on some of these projects with you in the very near future.